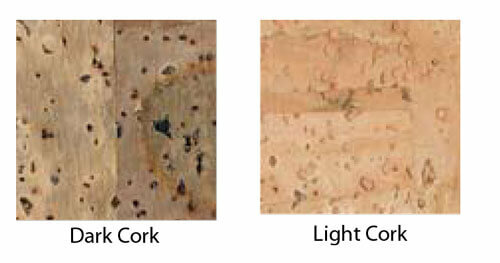 Cork adds a unique look and texture to your menu covers. Our Cork-line comes in all the covers, with your choice of a Full Cork Cover or a Combination Cover…using cork as an accent with our Permaline leather-like material. The edges on these covers are turned and glued to a stiff board for durability, then lined with elegant moiré silk. Foil stamping customizes your covers to complete the presentation. World Wide Menu offers a wide range of materials, colors and textures. Whether you are looking for a highly customized unique cover or a more traditional book cloth cover, World Wide Menu has what you need. Our menus are designed to hold insert sheets under diagonal picture-frame corners, horizontal bar pockets, four-sided frames, screw post or three ring metal binders. Most of our menus are turned-edge construction and can be manufactured padded or non-padded. 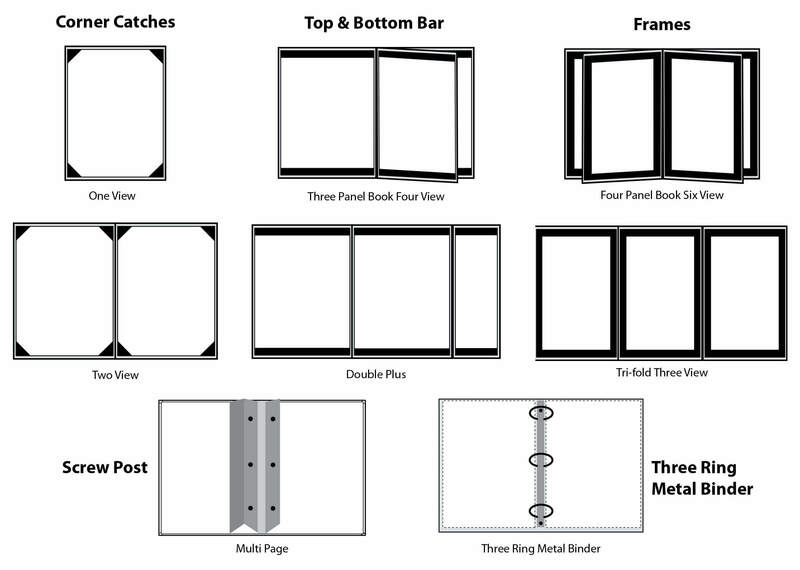 Diagonal picture-frame corners are standard and are available in all configurations shown below. Top & Bottom Bars, Framed Top & Side Loading, Screw Post and Three Ring Metal Binders are available in all configurations at an additional price.